I always like it when I find a stamp is the same theme as the card it's on. I don't mean maxi-cards with a matching stamp, more just a similar theme. Here are two that arrived fairly recently. From the Netherlands I received cows on a card, a reproduction of an old image, along with a cow on a stamp. 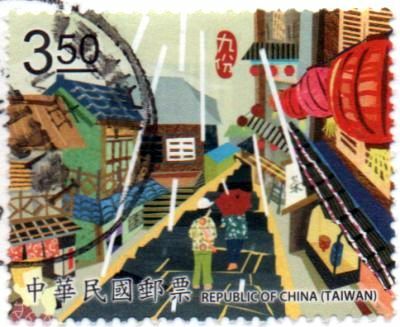 Next from Taiwan came the card showing an old mountain village which has become a tourist attraction, and the stamp shows the same place. 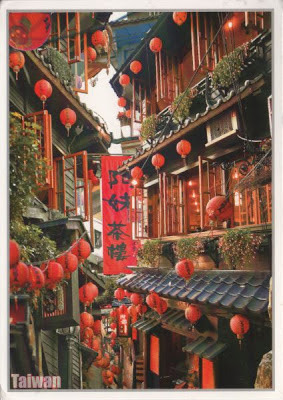 The street (there is apparently only the one, The Old Street) looks a great deal less narrow in the stamp but the red lanterns are there. The village has an interesting history. Its name means "nine portions" because it once was home to nine families who always wanted nine portions of shipments. It remained a tiny village until gold was discovered in 1893. Later, during WWII it housed a POW camp and the prisoners were put to work in the gold mines. In 1971 the mine was closed and the village went into decline. A film "A City of Sadness" which went on to win the Golden Lion award in the Venice Film Festival was set in the village and so revived interest in the place and it has since developed into a draw for tourists. The Dutch stamp and card go well together but I'm less convinced by the Taiwam stamp. Oh, I don't know,I think they both work well together as a set. That village story sounds interesting. I wonder if the original nine families were happier in their small village than the later families were once the mine closed down (having tasted a little of fortune)? 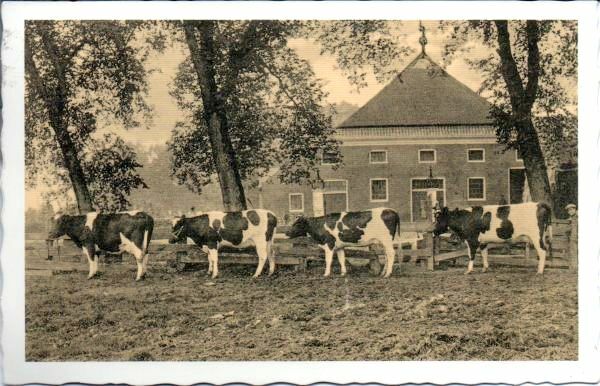 The postcard and stamp with the cows is very good! I really enjoy sending and receiving similarly themed cards and stamps. Both of these cards with their stamps look great! I like the way the themes of the stamps and cards match without being identical. Now that's neat; matching the stamps and the cards. 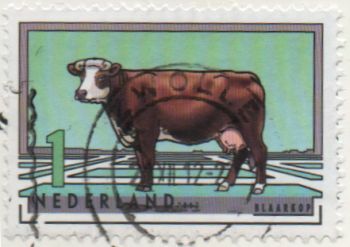 I like the cow stamp too. Keep it simple, sometimes. The village stamp is as colourful as the card. I always think it wonderful when postcrossers themes like this. The stamp from Taiwan is so colorful, just like its history.